Engineering School of Lorena– EEL – University of Sao Paulo C. Postal 116-CEP:12.602-810 - Lorena-SP , Estrada Municipal do Campinho, s/nº Brazil. Several papers in the literature on Advanced Oxidation Processes (AOPs) confirm the process as a viable alternative for the treatment of a variety of industrial effluents. 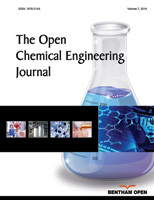 In many of these works, modeling the variations of Chemical Oxygen Demand (COD) as a function of different experimental conditions was performed by techniques such as Design of Experiments, Artificial Neural Networks and Multivariate Analysis. These techniques require both a large number of parameters and a large quantity of experimental data for a systematic study of the model parameters as a function of experimental conditions. On the other hand, the study of Stochastic Differential Equations (SDE) is presently well developed with several practical applications noted in the literature. This paper presents a new approach in studying the variations of COD in AOPs via SDE. Specifically, two effluents, from the manufacture of paints and textiles were studied by combined treatment of the photo-Fenton process and catalytic ozonization.